There was a time when Hubby and I would go out on Christmas Eve, normally to a party or local pub. Needless to say we would probably wake up Christmas morning feeling a little worse for wear. Since having little people join us though our Christmas Eve’s are very different. Instead of going out partying we try and take the time to relax into Christmas. We spend the afternoon getting as much prepared for Christmas Dinner as possible. Once the veggies are all done we settle down to open the boys Christmas Eve boxes. This year our Christmas Jumpers have come from Nutmeg at Morrisons. This year is the first year that they are selling matching knits for all the family and have very kindly sent us four! 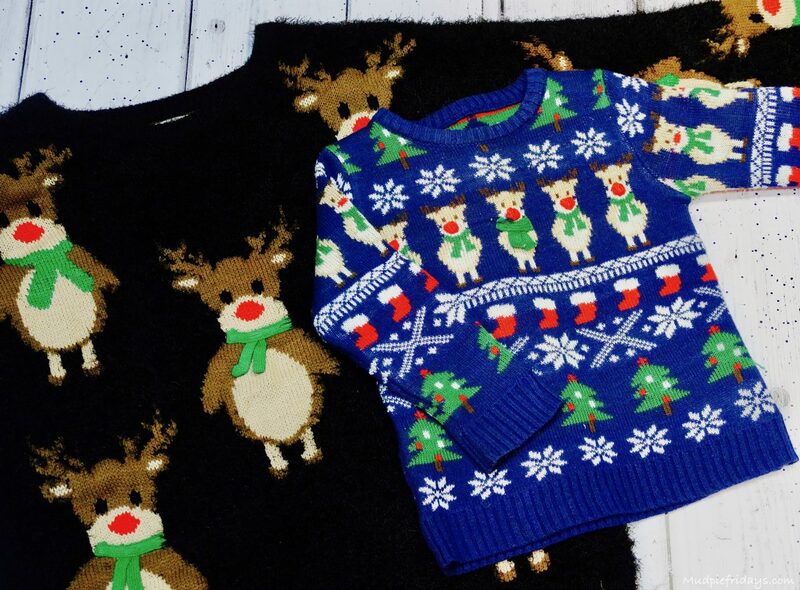 The boys all have matching blue reindeer jumpers and I have a black fluffy one to match. They are all part of their mini me range. The boys love theres and have already worn them loads. I like them as they wash well and its the thoughtful little things that matter, such as no itchy neck labels for kids. They are available in kids (1-14 years £10) and adult sizes (8-22/S-XXXL £12). You will be able to find yours in your local Morrisons store and all kids clothes are covered by Morrisons 200-day no quibble guarantee. I normally let Monkey chose which one we are going to watch, inevitably it will be either a Disney classic or something suitably festive such as Arthur Christmas. If we choose something once the boys have gone to bed and Im allowed to pick, then it has to be Love Actually. Especially since I discovered that some of it was filmed local to us in Surrey. If you are Netflix subscribers and looking for some inspiration then have a read of Our Top 10 Netflix Christmas Must Watch Films. We will snuggle up on the sofa in our jumpers to watch the film with at least two blankets. Although Hubby won’t get under the blankets me and boys do! You can’t beat a scented candle for helping create a Christmassy atmosphere. We are lucky enough to have a real fireplace which we put back into our sitting room when we renovated just before Monkey was born. You can’t beat a good wood fire this time of year. Monkey loves hot chocolate and there is something very decadent loading it full of squirt cream and piles of marshmallows. To go along with the hot chocolate its the one time of the year that the boys are allowed to have sweet treats in abundance. We try and make a gingerbread something each year. Monkey (with a little help) made this gingerbread house kit from Morrisons this year. The level of concentration was significant. Although Kipper had his eyes on the jelly sweets! Once we have watched our film we stick on a good Christmas CD and have a little sing along. Both boys love Jingle Bells in particular. It also acts as a good back drop for playing games. I don’t think you can beat a bit of Slade! To wind down a bit and try to limit the excitement, before we put on the new PJs out of their Christmas Eve Box we play a board game. Monkey has his favourites and especially enjoys Monopoly so I suspect we will be playing that again this year. Just before bed Monkey will pop some Reindeer Food out on the wall. Its so easy to make just mix oats with glitter and leave out in big piles. We use edible glitter just incase the local wildlife also want to have a nibble. Finally just before bed Monkey will place Father Christmas’s plate by the fireplace. Normally there is a mince pie and a little tipple of Brandy left out for the big man! So these are our Christmas Eve essentials. We may not spend out Christmas Eve partying anymore but we wouldn’t change it for the world. Have to say real fires are my favourite thing in the whole world, makes everything so much more cosy. My grandparents had a proper fire and I loved sitting near it and watching the tv or playing a board game with them. Most of the essentials are the same as our Christmas Eve traditions apart from the Santa Plate and real fire. What an exciting Christmas eve box! I’m so jealous of your wood fire too, how lovely! I have to have a Christmas scented candle burning too, I like the cinnemon and mixed spice smells. We shall bake gluten free gingerbread too tomorrow, I’ve bought some festive cut outs so they will have fun and yes we have to have hot chocolate with all the trimmings! Our choice of film as requested this year by the girls is Home Alone! You cant beat a classic! Xmas Eve with the kiddies has always been my favourite day of the festive period, the anticipation of the big day, the children are so excited and I really dont miss Xmas eve partying. Lovely post, but you should have 11. A nice glass of hot mulled wine to finish the day. Love bit of xmas baking! What a thoughtful post. Our nights out have also long since gone so making an effort at home is a lovely idea. 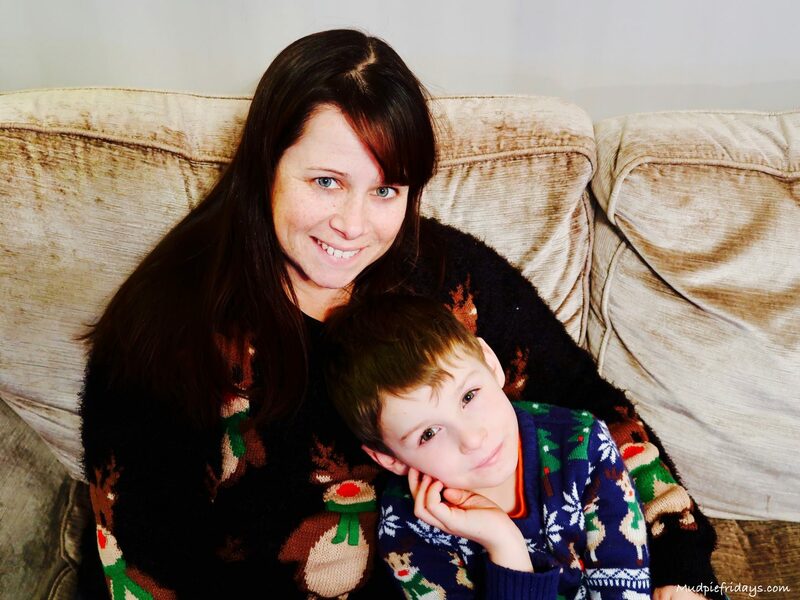 I love your ideas because Christmas Eve is a very difficult time and children get so excited and need to get to sleep at a reasonable time in order to enjoy Christmas Day to the full! Some great ideas and a useful list! Did you hang up your Christmas stockings This year? 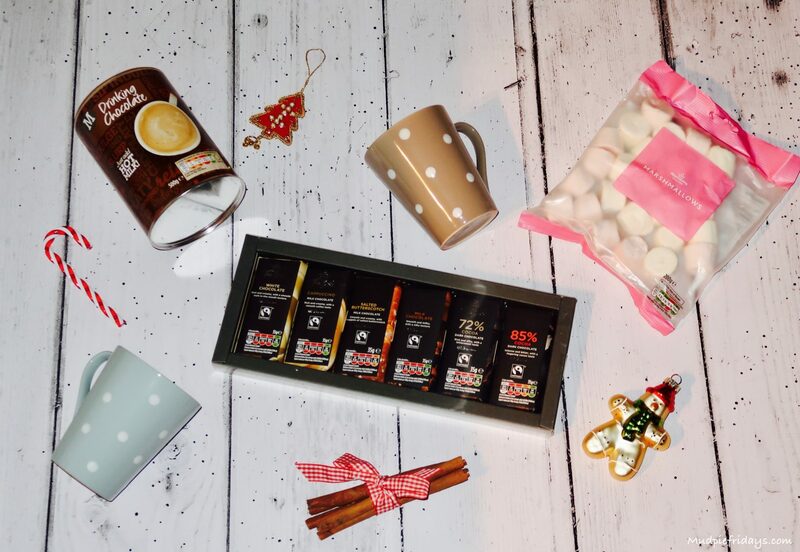 We have Christmas Eve traditions and essentials too! Many of our essentials are the same as those on your list too! 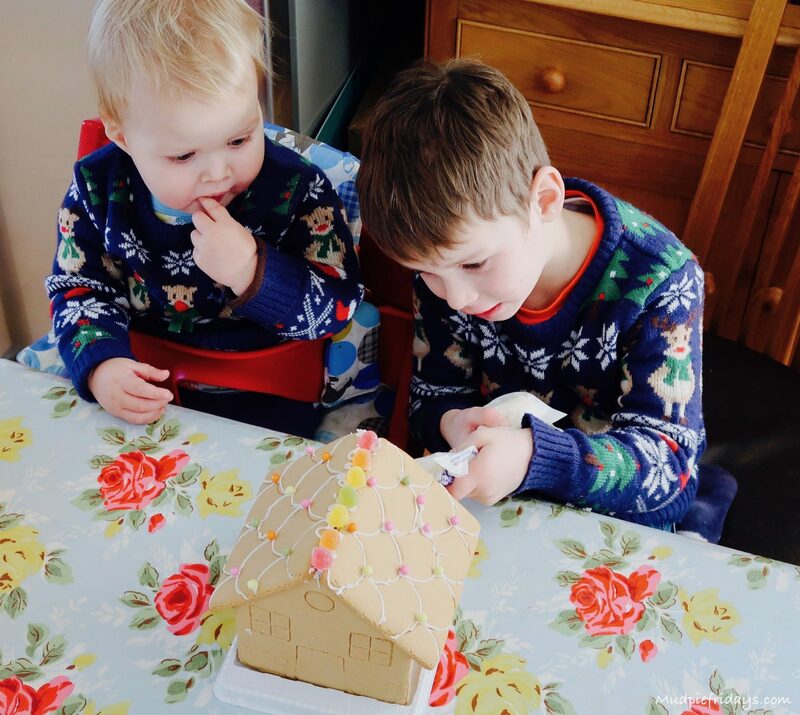 We make a gingerbread house, wear Christmas jumpers, leave magic reindeer food out in our garden, watch Christmas movies and play board games. Christmas Eve is a lovely, relaxed family day, in preparation for the chaos of Christmas Day! Some great ideas! There is so much choice these days! 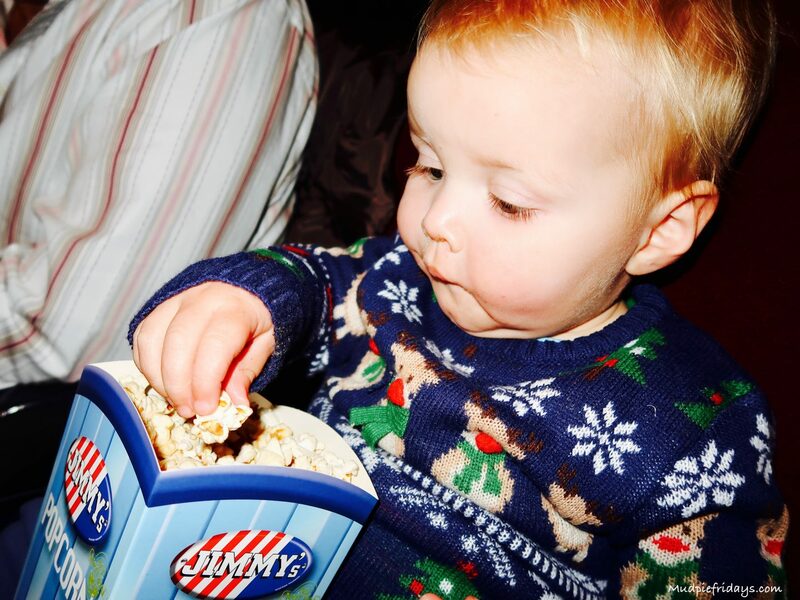 When my son was little we used to do tehe food for Santa & the reindeer, but we have never worn a Christmas Jumper! You have some nice traditions here & it’s lovely when the kids are small. I love those jumpers and the children making the gingerbread house. How lovely.